Bernie Sanders wants to break up big Wall Street banks. On Monday -- mere hours before the decisive New York primary -- he went a step further and questioned whether Wall Street is necessary to grow the economy. "How are we going to create wealth without Wall Street?...I think we can," he said on CNN's morning show "New Day." Sanders has been clear that he thinks the big banks are hurting America in their current form. He has slammed them for being "greedy" and "fraudulent" since the first day of his campaign (and even before announcing his White House bid). He thinks Wall Street has too much power, and the way to change that is to make banks like J.P. Morgan Chase (JPM) and Citigroup (C) smaller. But he's been criticized by rival Hillary Clinton and others for not being able to talk details on policing Wall Street. On Monday morning, Sanders gave CNN's Chris Cuomo some specifics. "I think you can break up these large financial institutions," Sanders said. "You can do it through Section 121 of Dodd-Frank. You can do it through my legislation. All you need is the secretary of Treasury to determine which banks, if they fail, will cause systemic damage to our economy. That's not a hard thing to do," Sanders said. It's a big change for Sanders. Only a few weeks ago Sanders seemed confused about the Dodd--Frank Wall Street Reform and Consumer Protection Act, the major financial reform law that went into effect in the summer of 2010. 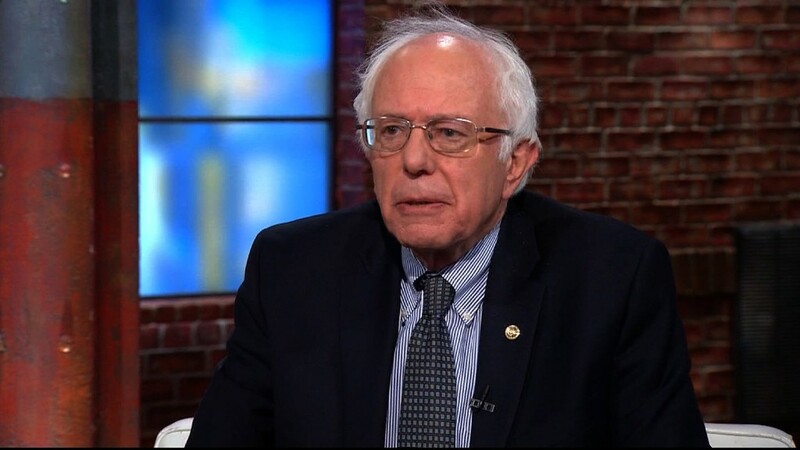 In an April 1 interview with the New York Daily News, Sanders said "I don't know" when pressed about details of the regulations that big banks face right now. His critics pounced. Related: Pope Francis and Bernie Sanders want a 'moral economy.' What is it? "I look at it this way -- the core of his campaign has been break up the banks, and it didn't seem in his answers he understood how that would work under Dodd-Frank," Clinton said recently. Now Sanders is quoting specifics with ease. Section 121 of Dodd-Frank gives the Federal Reserve power to determine that a big bank poses "a grave threat to the financial stability of the United States." The Fed can take a number of actions to get a bank back on track, including breaking it up (the actual language is the law says the Fed can require a bank to "sell or otherwise transfer assets"). Sanders wants to go a step further than Dodd-Frank. He supports bringing back a law that was in place from the Depression era all the way until 1999 when Congress and President Clinton repealed it. It's called the Glass-Steagall Banking Act and it basically makes banks choose: they can either serve Wall Street and do trading and big business deals or they can serve Main Street and do mortgages and small business lending. Clinton says Glass-Steagall is akin to dial-up Internet. It's outdated. The financial industry has changed a lot. She argues the rise of hedge funds and other non-bank players means the U.S. needs different laws to protect taxpayers and the economy.